Fiction-Atlas Press LLC > News > Services > Sanctuary of Dehlyn Pre-order Contest! Sanctuary of Dehlyn Pre-order Contest! Pre-order Sanctuary of Dehlyn for your chance to win! 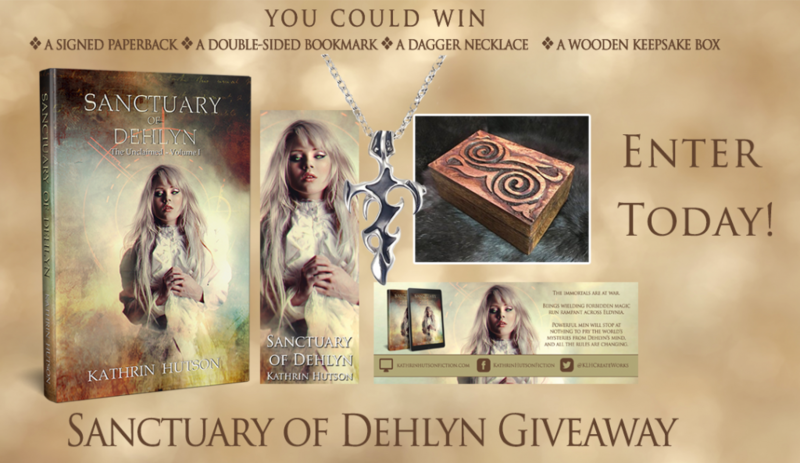 Enter to win a signed paperback of Sanctuary of Dehlyn, a double-sided bookmark, a dagger necklace, and a wooden keepsake box! Sanctuary of Dehlyn Preorder Giveaway!